The strategy adopted by Gov. 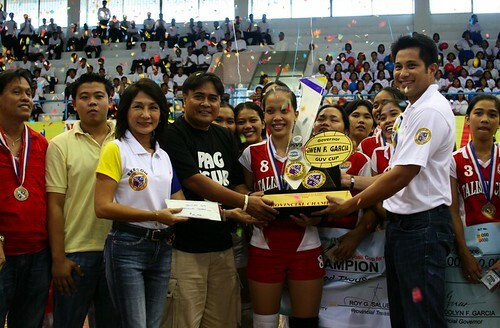 Gwen and Glenn is for the LGUs of the province to adopt their own respective volleyball programs. For each locality to grow—on their own. And “CEVA has designed a volleyball program that would include training (to include coaches, referees and athletes) and tournaments” to these LGUs,” adds Glenn. The highlight, of course, is the GUV Cup, which has been running for three years. “The GUV Cup has 49 out of the 52 LGUs participating province-wide,” says Glenn. And that’s not all. The GUV Cup has produced 14 ‘Garbo sa GUV Cup’ winners. “These are GUV CUP players who have been selected from the different teams to become varsity players enjoying scholarship and other benefits (free board and lodging, allowances). “This year,” says Glenn, “we have added the Cheer-dance competition to involve non-athletes and to make the event more colorful. Also, there is the CITY CLUSTER, which has eight component cities. The finals will be held at the Cebu International Convention Center (CICC). 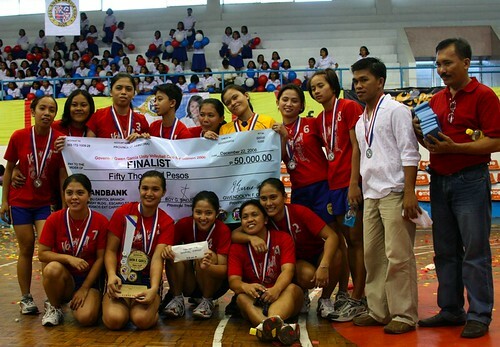 On top of these, the province has distributed equipment to all the teams, especially to the host LGUs. We are also applying FIVB (Federation Internationale de Volleyball) officiating standards under the supervision of CEVA. Glenn shares the success with the entire CEVA board (photo below): Jun San Juan (VP) and directors Nimrod Quinones, Andrew Choachuy, Grace Antigua, Nonna Catipay, Bombi Aznar, and the Cebu Sports Hall of Fame awardees… the twin sisters Marilou Ramirez and Marichu San Juan. “Our volleyball program is divided into three,” says Glenn. “Training. Competition. Promotions. “TRAINING: This year we had a referees training and licensing course conducted by the Philippine Volleyball Federation (PVF). This is to improve the skills of our referees/court officials and to develop new ones. We just found out that there are no more licensed international referees from Cebu—that is why PVF came here to conduct the pre-qualification process. Next year, we’ll conduct the training to the different LGUs. This will develop new referees/court officials in the different towns and municipalities and will also serve as a livelihood incentive for these officials. 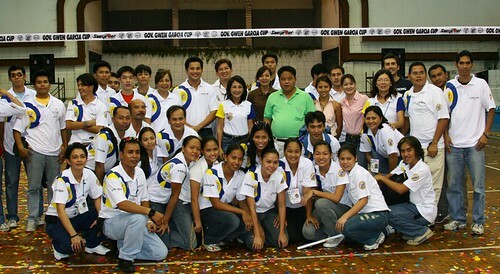 “COMPETITION: CEVA organizes, facilitates and assists different groups with their volleyball tournaments. We encourage more events as these will increase the level of competition among our athletes,” says Glenn, who adds international events like the Men’s World Championships and the Asian Youth Volleyball to the list of events Ceva has helped organize. “PROMOTION: CEVA is advocating volleyball as an effective tool for sports development. As I mentioned before, volleyball is all about grassroots sports development. That’s why we are promoting the sport to the different LGUs as they have the resources to adopt their own programs,” says Glenn. It’s also great to see a lot of familiar and friendly faces. Cerrone… really? Nice for you to have spotted him. I don’t know all the names of the people in all the photos. What’s your uncle’s name? Looks like he’s the head coach of the Talisay City team. His name is Edgar Mabunay, but his not the head coach. He works for the Talisay City Government. I don’t know all the people in the photos too, but some of them are my friends.